The flexibility of cross-linked polyethylene -- PEX -- pipe eases the process of running water supply lines throughout a house. 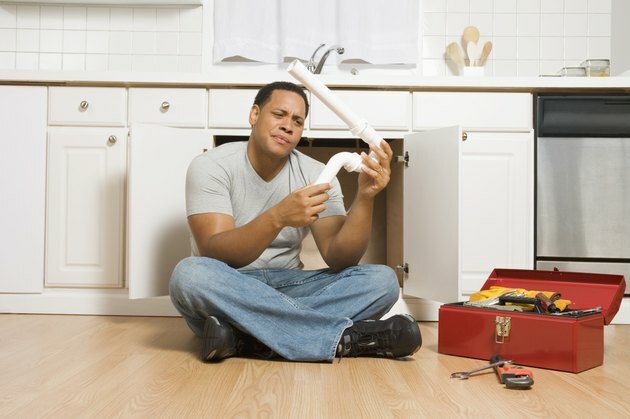 An easier installation process reduces the labor involved when replacing a portion of PVC pipe to install a new plumbing fixture. Since PEX and PVC pipe do not use the same sizing standards, the pipes cannot slide together to form a watertight seal. Instead, another method is required to fit the dissimilar plastics together while providing the strength necessary to keep the connection intact under pressure. PEX tubing reduces problems during a plumbing installation. Remove any damage from the end of the PVC pipe by cutting past the area with a hacksaw. Slide the rounded side of a half-round file along the inside of the cut PVC until all loose filings are removed. Apply an even coat of PVC primer to the outside of the cut PVC pipe and the inside of a male-threaded PVC fitting. Coat each primed surface with PVC glue. Slide the pieces together while twisting the PVC fitting back and forth. Hold the pieces together for 30 to 45 seconds. Wrap pipe sealant tape around the male threads of the PVC fitting. Ensure one layer of material covers all fitting threads. Align the threads of a female-threaded brass PEX adapter with the male threads of the PVC fitting. Turn the fitting clockwise by hand until it tightens to the PVC. 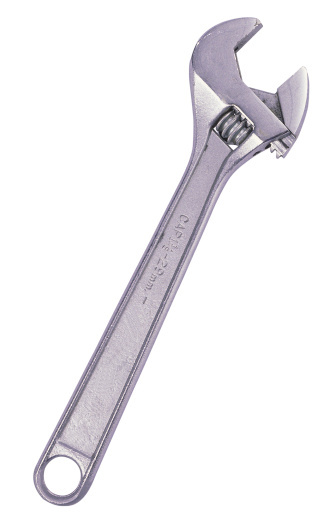 Turn the brass fitting one-half turn with an adjustable wrench to lock it in place. Slide a crimp ring over one end of the PEX tubing. Push the end of the tubing onto the end of the installed brass fitting. Set the crimp ring 1/8 inch away from the end of the tubing. Place the jaws of a PEX crimping tool over the raised portion of the crimp ring. Squeeze the handles together to secure the PEX tubing to the brass fitting.